Quantum computers are still quite a way off, but we’re a little closer to making them a reality now that a team of researchers has developed a way to control the quantum superpositions of an electron in silicon. This is the first time this feat has been accomplished, and it could usher in a new era of faster, smaller and more secure computers in the next two decades or so. The achievement was reached by an international team consisting of researchers from four institutions. Superposition is the amazing ability of a qubit (or quantum bit) to occupy all of its possible quantum states at the very same time. 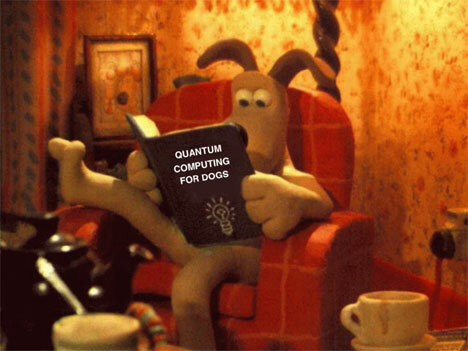 This principle is one of the quantum phenomena that form the basis of quantum computing. Controlling superpositions has been achieved in other studies, but this is the first time it’s been achieved in silicon. Being able to control the quantum state of the atoms in silicon could mean that the quantum computers of the future will actually be affordable. See more in Quantum Leaps or under Science. August, 2010.